I’m tired, and I feel guilty. Wa, wa, wa. I feel as though I’m replaying last year’s adventure, but this time with a bit more mobility (yay!) but perhaps more exhaustion than I felt last December? I’ve not been blogging as I should because I know that I’d just sound like a high pitched whine – Wa, wa, wa – and we all know that THAT’S no fun. Well, it’s fun for me, but not for you. Wa, wa, wa. Each of these are true at various times, but not all at once, thank heavens. Welcome to my world, folks. Wa, wa, wa. I think I’d become too – hopeful? – this past Summer. Or maybe I’d been trying very hard to forget exactly how ill I was last year. When the cold set in and I found myself unable to move easily this Fall, I felt exceptionally depressed. Last year I was confused by the fibromyalgia. This year I’m scared by the fibro. Maybe next year I’ll be resigned to it? One thing I know is I’ll never just ‘accept’ it, I’ll keep trying to do as much as I can. But doing “as much as I can” just doesn’t seem like it’s enough many days. Wa, wa, wa. Don’t get me wrong, I’m MUCH better than I was this time last December. The vitamin D3 and non-wheat diet (plus cutting down on sugar) have made a HUGE difference in my life and my mobility. I’m even able to get out and walk, do some shoveling, get some housework done – and life is good! I’m 40 pounds lighter than I was this time last year, and that’s not a bad thing. But the exhaustion comes back and hits me HARD. Then the muscle pain in my shoulders and around my knees sideswipes me and leaves me gasping. Oh, have I mentioned my weather-induced asthma? Wa, wa, wa. I think a lot my feeling of depression IS the lack of sunlight, maybe that’s why I feel so great in mid-day or mornings, but as soon as the sun sets I flag. And perhaps that’s why I felt so great all Summer – well, relatively great. And I have been using my lamp, which helps. Wouldn’t it be nice if there were a light ROOM where Minnesotans could go stand for an hour? Jeeze, louise, I love living here so much – except for 3 months of the year. I miss my biking. I biked right up to the first snow in Nov (and beyond) but I just can’t get out in the residuals of our recent blizzard. 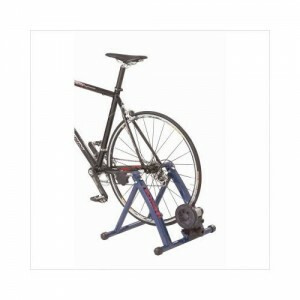 I’ve asked for (and I know I’m receiving) a cycling trainer for Christmas, so once I get that set up on the front porch I’ll be able to do an hour or so of biking every day to see if that keeps me more mobile and energized. I’ve also received a lovely and amazing book, Relax & Renew by Judith Lasater, from my friend Miriam Felton (if you like knitting lace and you haven’t worked up one of her patterns you are MISSING OUT my friends!) with yoga moves for folks who suffer from chronic pain and exhaustion issues, even some that can be done in bed. I haven’t read the whole book yet, but I’m looking forward to doing some of the moves and feeling a good stretch. I’m thrilled to see curtailed versions of some of the poses I most enjoy, but have been unable to do because my flexibility and mobility are limited. I’m ashamed to admit I spend a good part of my day in bed. Not only is the light good here, but it’s warm and I seem more able to get brain work done. And the pets cuddle with me, it’s a nice place to be. And it’s great for knitting! But I do get myself downstairs for at least a few hours every day – I try to cook a meal, do some cleaning, get SOMETHING done besides the knitting and designing. So here’s what my horoscope says today, and I’m sticking to it. You may feel a bit uncomfortable today if everything appears to be flowing along easily, because you don’t trust the current wave of optimism. You are worried that you’re missing something important, and this is a likely possibility. A little self-restraint early in the day could bring a more solid boost later — one you can truly rely on. Remember, controlled growth assures sustainable stability. Because I seem to have so much more more energy early in the day (before all my muscles begin aching and my ears are filled with a high pitched ringing so loud I can’t even hear the TV – wa wa wa) I’ll be devoting this morning to grading a pattern for a BIG faux-cabled pullover for Interweave Knits using one of the best books I own – Knitting In The Old Way by Priscilla Gibson Roberts. I love this book. 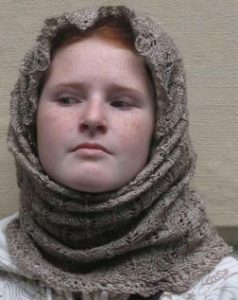 If you’re a serious knitter and don’t have it, you should. If you know a serious knitter who doesn’t have the book, make their year and give it to them. 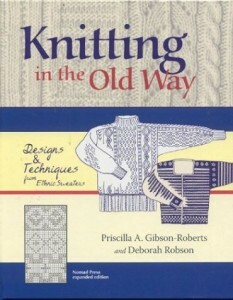 I am a self taught knitter, but when I read this book I almost feel as if I have the knitting pedigree I’ve always missed. And Priss’s percentage system for grading a yoked sweater creates an amazing fit – I love it! After my brain is fried with the numbers this morning, I’ll settle in to knit the above mentioned faux-cable, and enjoy a fine audio book. I’ve already completed one of my 4-due-on-Jan-3 projects yesterday (tada!) and received yarn for the last project, so I have my work cut out for me! I promise my next blog post will be more informational – or at least more fun to read! Fa la la wa wa!